Can pregnant women use VISS RF? Just as all electronics have electromagnetic waves, VISS RF has electromagnetic waves though it’s the amount corresponding to the reference value. Also babies can also be surprised because high frequencies are generated by electrical stimulation. Once again, as it’s listed in the manual of VISS RF, we advice pregnant women to use VISS RF after childbirth for beautiful babies. Should I use only high frequency cream? The purpose of high frequency creams is to provide a smooth massage and a full transfer of high frequencies to the skin. When using thin liquids or other products with Jell-O, high frequency heat cannot be transferred completely. In addition, thin liquids can cause serious damage to non-waterproof products and moisture evaporates soon so you can’t massage softly on your skin. If a product other than a high frequency cream is used, the cream may contain unnecessary ingredients, which may cause a high frequency product to cause a spark and high friction may prevent good massage. For this reason, high frequency creams are suitable for high frequency instruments and do not necessarily need to be VISS high frequency creams to be used commercially. However, VISS high frequency cream is best suited to the instrument, with viscosity matching the thermal sensation of VISS RF. Should high frequency cream be cleaned or absorbed? We recommend that you wash the cream after the massage. Because high frequency massage also has defoliation of skin, cleaning the cream will remove the dead skin with the cream. 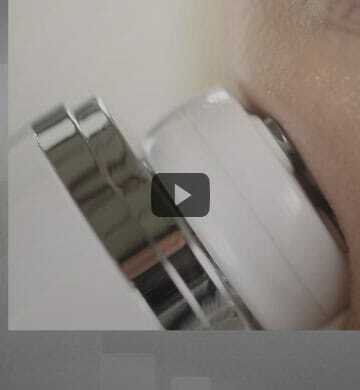 (You’ll see that the cream has turned yellow when wiped off which is the dead skin.) So wipe out the cream, wash your face, or wipe your skin with wet tissue one more time and apply basic makeup. I can’t use it on my forehead. The principle of high frequency instrument is to emit high frequency electricity which means areas where the surface is not smooth or has low blood flow may not function properly. 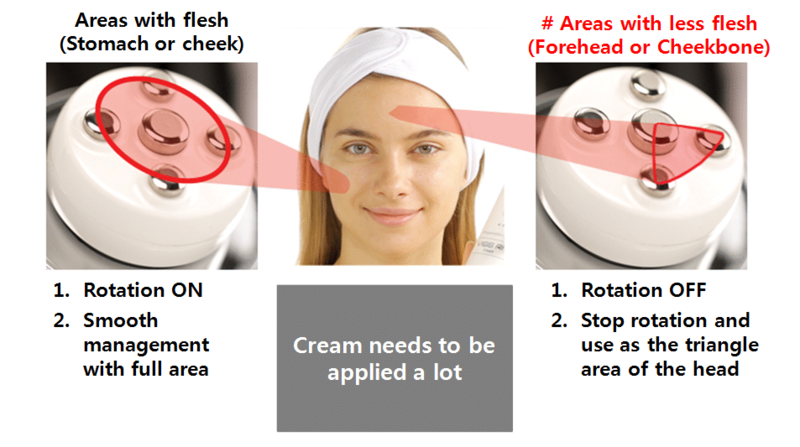 We recommend customers to stop rotation of RF when managing the forehead or cheekbone section. How many times do I use it? Please use it every other day, no matter how much you use it. 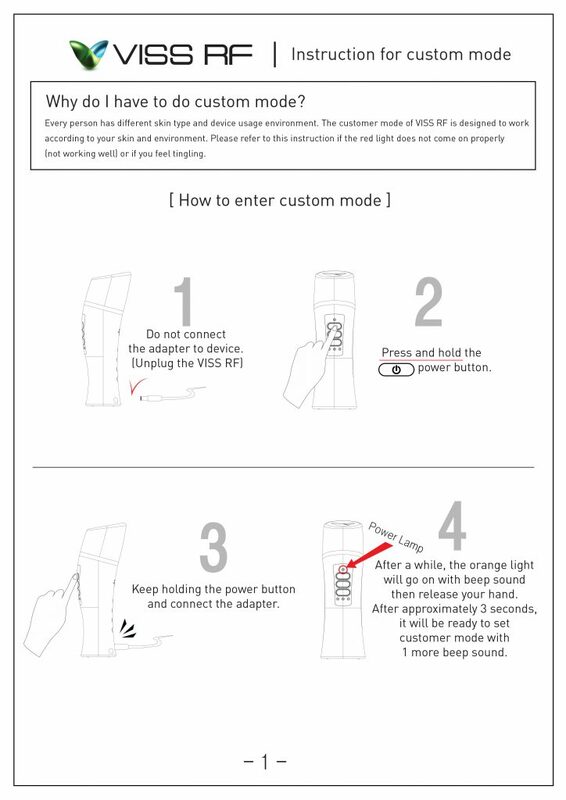 The recommended usage in the manual is 2 to 3 times a week based on the same part. If you use it too often, the effect may be negatively affected. Can I use it after Botox, fat transplantation, or filler procedure? VISS RF, like other high-frequency devices, is a device that generates heat inside the skin. It is desirable to use it after a month of skin adjustment after the treatment since fat can be broken down after long use. If possible, consult your doctor and use it. If you recognize the specifications, such as the output of high-frequency equipment, you can get more detailed answers. What is mineral oil which is the main ingredient of high frequency cream? It’s a rumor that mineral oil is bad for your skin. Also, there was a rumor going around once because mineral oil was extracted from the limestone layer. Mineral oil is used in many products such as vaserin and BB cream. It is said that mineral oil covers the skin layer like a coating and does not interfere with the skin’s breathing. This makes it easy to moisturize and regenerate the skin. It’s not harmful, but if you have oily skin, we recommend you to put more effort when washing your face. 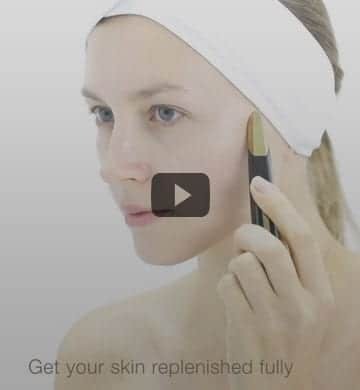 Is it available to use on the body as well as for the face? VISS RF is a product that uses 1 MHz high frequency to fundamentally improve the overall skin texture. We’ve been told that even for a short time usage, many customers have noticed the difference before and after. But while the body, not the face, will show less difference because it’s a small product, some of the people who bought it, have shown positive responses to the shoulder and abdomen. If you want a result like the large high frequency product used in a hospital or a skin shop, it may not be enough, but we recommend it to anyone who wants to purchase it for a steady purpose with facial care at home. I have a skin trouble. The problem may be caused by cream, not the machine. High-frequency creams do not contain harmful ingredients, but they contain some preservatives unless they are natural cosmetics. In addition, high frequency massage requires some oil for a smooth massage, which can cause problems to the oily skin. In the event of a problem, stop using it and try again a few days after in weak stage. The trouble may no longer occur in some circumstances. In this case, the DBC reaction is believed to be the case in which the skin is troubled by the new environment. In addition to the aforementioned phenomenon, the VISS RF cream can also have problems with various factors such as skin type and seasonality. In this case, we would think there would be no problem if you apply another high frequency cream or any other product to replace it. Considering the skin of many customers, it would be nice if we could manufacture a variety of high frequency creams for customers to choose from. Since we can’t, we manufactured high frequency creams based on data that is considered average. If high frequency cream does not fit your face after purchase, apply mild baby oil or natural oil to your face without flowing which didn’t have any trouble before. The other method recommended is to moisturing your face by steam massage. VISS RF is a non-waterproof product which may not work if used with liquid products. How do you manage (clean) after use? In some cases, the product may not function properly due to the user’s poor ground or due to skin condition. 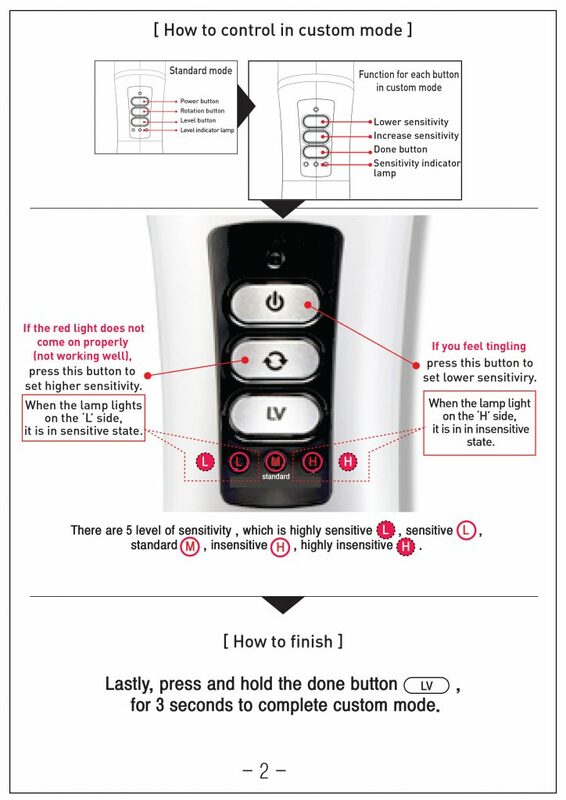 Follow the image below to set the ground sensitivity to suit your skin.